Today I am writing on a topic that I don’t feel equipped to write on, which is why I am writing on it. Now, don't get me wrong, I had an amazing childhood, family, and friends; but I have found myself wrestling with the idea that I had little experience in racially mixed environments. I was able to play college football at a state university where I had my first experiences with this type of environment, and it was amazing. I loved the variety of experiences and stories that everyone brought to the community. As I was the white kicker/punter who came from a white community, I still felt as though I was not fully part of the community, but none the less we were a team. The interesting thing about a team working for the same goal is that you are forced to push through your differences, otherwise you will fail. But when I see the news today, I can’t help but remember that our country is so far from being post-racial. This past week I was a part of FaithForward, a gathered community engaged in the conversation of the future of children’s and youth ministry. Both this year and last, I felt a push on my heart for these racial conversations that we must be having. Here is why I am just now writing about this. I feel as though I am so ignorant on this conversation that it would be better for me to be silent, rather than speak up and say or do something wrong. But this pull hasn’t gone away, and I am done trying to push it down for it is silence that can be the biggest evil within this tension. 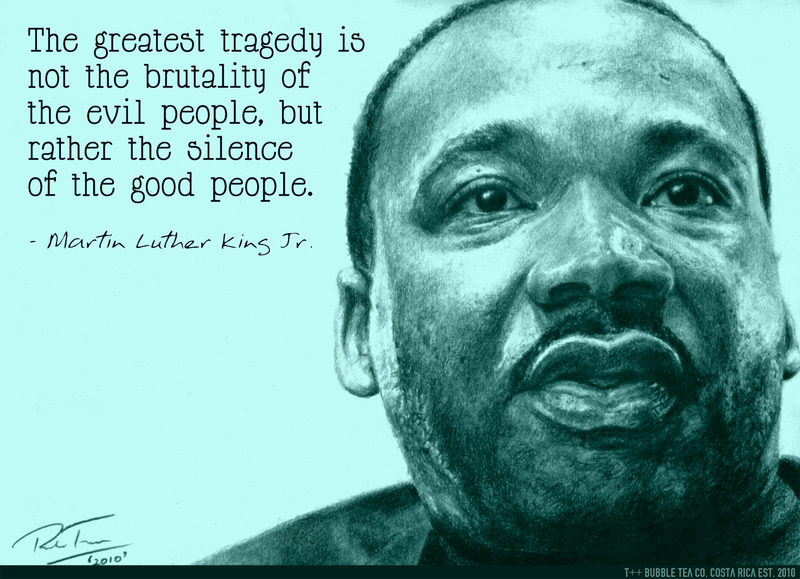 Too many stay silent because they feel ill-equipped to hold good conversations, but if we stay silent not only will we never be able to have good conversations; we will also allow the current tension to simply continue to build until it bursts open; which is what I believe we are seeing now. So then, what can we, the silent ignorant, do? First, we must study. Learn as much of you can from people from all sides of the issue; read, listen, experience. Through this learning and study, we will have a better idea on where to start having conversations. Second, find places and communities who will let you dip your toe into these conversations. Finally, from here we will no longer be ignorant and in this we will realize how much pain our silence has caused and maybe we can do something about it. Our common goal must be a world where all who are created in God’s image (that mean’s everyone!) are equal. I don’t know about you, but I am done being silent and ignorant. Whose with me?